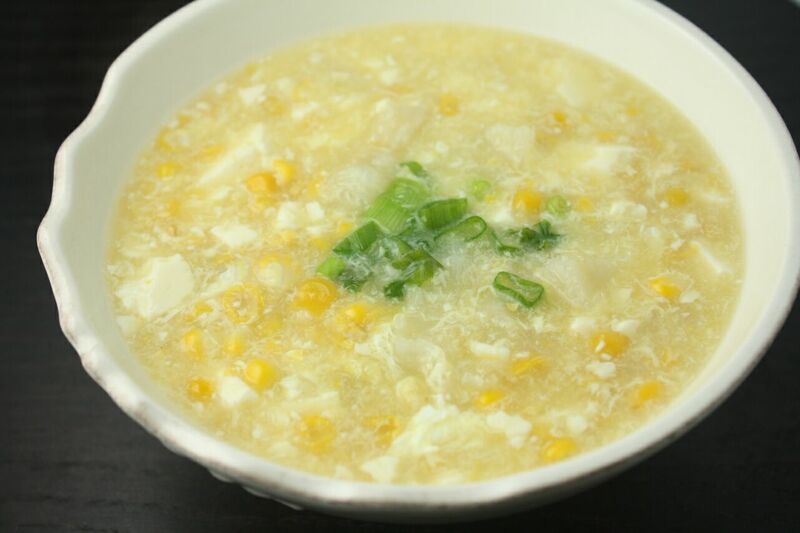 A variation of the Creamy Tofu Corn Chowder with fish maw and homemade chicken stock. In a pot of hot boiling water, add 2 slices of ginger and 2 stalks of scallions, along with two fish maw. Let it cook over high heat for 20 minutes. Turn off the heat and cover for 30 minutes. Drain and cut into 2 inches a piece. To prepare chicken stock — Bring a pot of water (6 cups) to boil, add half of a chicken to the pot. When it comes to boil again, lower the heat and simmer for 1 hour. Combine 1 cup of chicken stock and 1 can of cream style corn in a pot. Bring it to boil, add fish maw pieces and silken tofu. Simmer for a few minutes. 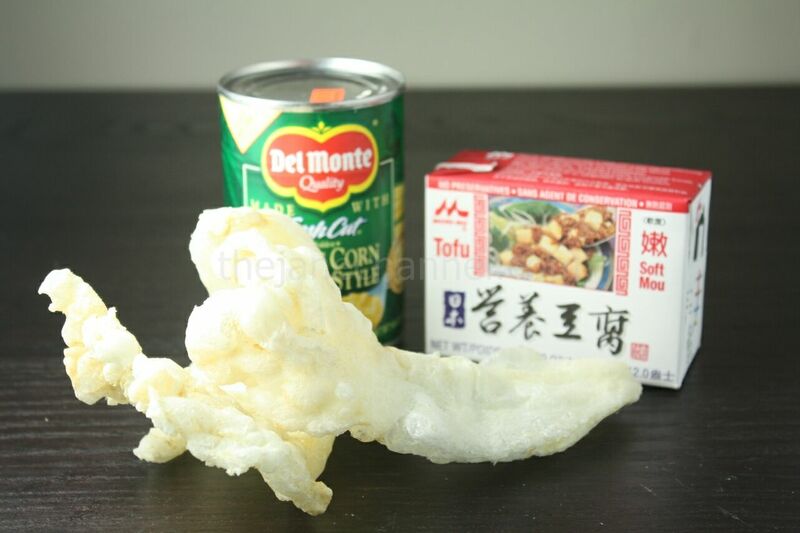 In a small bowl, mix corn starch with 2 tablespoons of water. Stir into the pot of soup slowly to thicken the soup. You may add more starch mixture until desired consistency is reached. Lastly, turn off the heat. Crack 1 egg and stir quickly. Serve while it is still very hot. Salt and pepper to taste.